« Is homosexuality a sin? 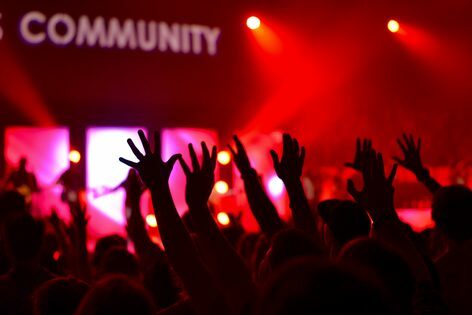 Building community is all the go in churches these days. Although not a phrase used in Scripture, the disciples of the early church devoted themselves to fellowship (Acts 2:42). God’s people are a community. The Bible uses the metaphors of God’s family and kingdom, but a community of God’s people is a more contemporary expression. Everyone finds sharing fellowship easier with like-minded people. But it is not so easy with Christians who attend churches of other denominations. We cannot build a community while maintaining separation over doctrines. Christ exposes our stubbornness and insincerity. Disunity does not stem from our dedication to God expressed in doctrines, but from disobedience to Christ. Revival brings people together. At a revival meeting, no one cares about which church the others attend. The worshippers focus on God who fills them with the joy, which overflows as love to others. When the church hungers for revival but does not see it, could it be because our behaviour betrays our beliefs? If we want a revival for our own sake, instead of because of our love for the lost, doesn’t God know our hearts? We would replace Paul’s emphasis on justification by faith with justification by our church’s doctrines. Division results. As James pointed out, such faith, without the works of love, is dead. The faith that justifies drives one to love others, even those with whom you disagree or find unlovely. Doubt their doctrines by all means, but love them regardless. We cannot withhold love because of perceived errors or sin because everyone makes mistakes and is sinful. Our actions can proclaim the gospel without words or we can use as few words as, “God loves you, and so do I”. The differences in doctrines taught by the various churches are like children fighting over word puzzles. When God led me to challenge the 165 churches in my region to covenant together after the template provided by the National Council of Churches of Australia covenant, only four churches agreed. It was too much to ask local pastors to agree that the other churches are authentic Christian churches even though their denominations had done so at a national level. Building community means we must choose to love one another and work to combat disunity. The church cannot enjoy credibility in teaching people to build community while being committed to disunity with other churches. So what do we want? Community or disunity? Perhaps this is an indictment of Judging rather than discernment ? – in recognizing the unity of faith. Divided we fall ! – and fail.